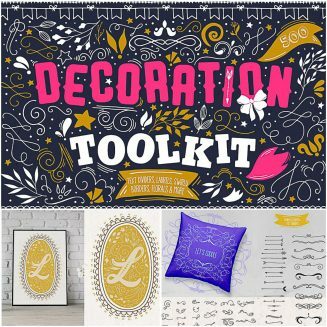 Introducing Decoration Toolkit with over 500 elements (wreaths, laurels, swirly shapes, ribbons, borders, arrows, text deviders, bows etc). You need to make a card or scrapbook? Maybe you want to make a nice t-shirt or send a postcard to friend? Or if you have a small shop or a cafe? 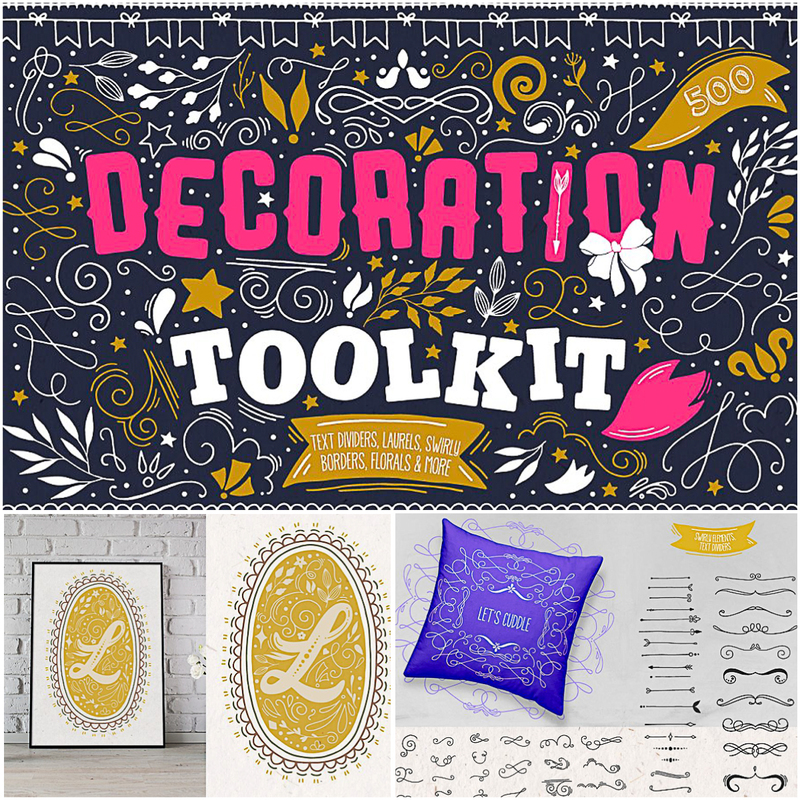 Create beautiful things using 500 tools. File format: .ai, .eps, .png for Photoshop, Illustrator or other software. Tags: arrow, birthday, border, bow, frame, icon, ribbon, scrapbooking, shape, text divider, toolkit.